Why Do I Need a Google Business Listing? Everyday a new website goes live on the internet creating more competition for your business, making it harder for your company to show up in search results when people search for services you provide. This means that your business has to work overtime to find new ways to make it stand out from the crowd. Your address, email and phone number. It basically showcases your business and highlights everything about it. Given the fact that Google is the most used search engine around the world listing your business on its Business Place would be a no brainer. When you create or claim your business on Google you make it easier for your customers to find you. You create a brand for your business and are able to manage your reputation more easily. 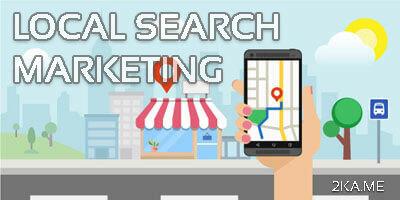 Recently there has been an increase in the use of mobile search. When anyone searches for anything online Google and other search engines customize and localize search results based on a person geographic location. So, let’s say a person located in Baltimore, Maryland searches for Local SEO Companies. The results they are provided with are almost always personalized to their location. Subsequently, the first results they would get would be the closest Maryland Digital Marketing Companies in there area. What this means is that if your company was located in their region, but was not listed on Google Business, you would have missed out on a potential customer, missing out on an opportunity to generate more revenue. However, if you had a business listing on Google, it would have been listed in the results and on Google Maps giving you the advantage and opportunity to gain a potential consumer. Having a listing distinguishes your business from others. When it shows up in search results all the information a person needs to know about you will be there including reviews that show that your company is transparent and reliable. As a result of taking a few minutes to create a free listing on the most used search engine in the world you can gain more visibility, clients, generate more leads and revenue. At 2ka.me we customize and create plans tailored to your needs. You can view our Maryland Local SEO Packages in more detail or Contact Us for a quote today.